An art film with Terence McKenna launches enticing ideas into overfull transmedia meme montage with elixir music. Imaginatrix is an experiment spanning over twenty years of collaboration between Terence McKenna and film maker Ken Adams (Alien DreamTime, Strange Attractor, Imaginary Muslims). 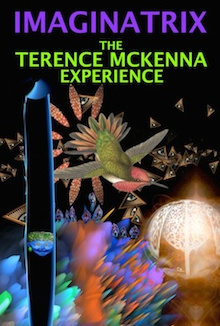 It is a unique and very experiential approach to McKenna and his mischievous neo-psychedelic memes. This is a new genre of film, appropriate to it's subject. You have never seen anything like it.